These ladies may be locked up, but they will never be kept down! An original musical featuring songs from Chicago, Amy Winehouse, Bon Jovi and more. 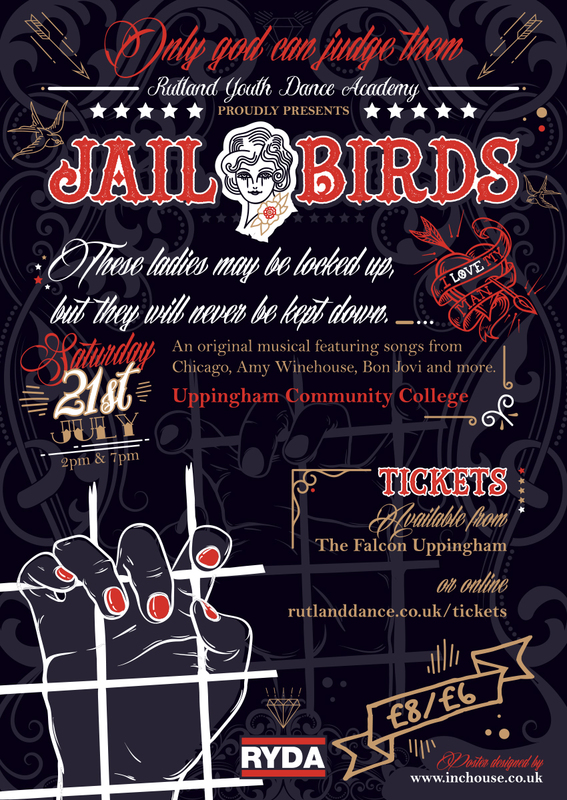 Starring our very own adult street dancers, adult contemporary dancers, Oakham Show Choir and RYDA Youth Show Choir and the fabulous Nicola Morris Dancers. Or by clicking BUY MY TICKETS NOW! Thank you for supporting our fabulous cast! We look forward to seeing you there!